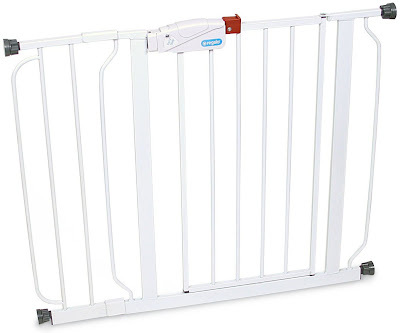 Review of North States Heavy Duty Stairway Baby Gate, 26"-41"
White plastic blends into any household. Adjustable width for any staircase or doorway. Transparent holes allow adults to watch children or pets on the other side. One-touch release for easy open. Wall mount for secure placement. Plastic material becomes weak over time. Close latch gets stuck easily. Mount can pull away from drywall. 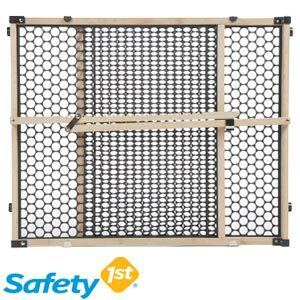 This is the summary of consumer reviews for North States Heavy Duty Stairway Baby Gate, 26"-41". 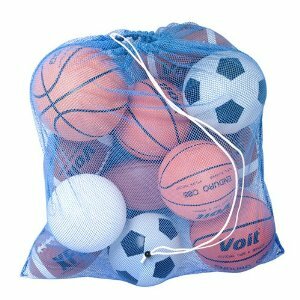 The BoolPool rating for this product is Good, with 3.80 stars, and the price range is $18.00-$28.00. 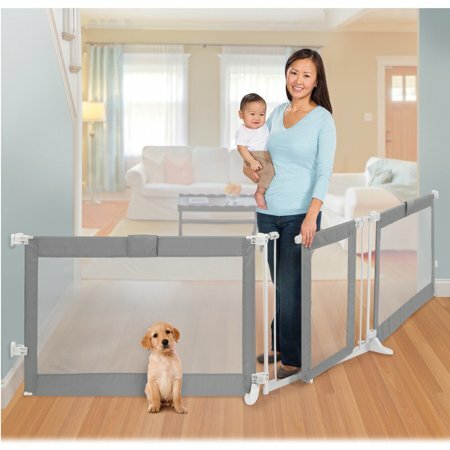 The trustworthy North States brand has yet again come out with a baby gate, but the Heavy Duty Stairway Baby Gate 26’’-41’’ is stronger than ever before. The white plastic baby gate fits stairways and doorways with an adjustable slide that is easy to remove and move to a new location on the go. The gate comes with the option to wedge between two strong surfaces, or a wall mount to drill into walls for stronger support for children or animals who may put their weight against it. The gate has the option of sliding to open, or swing open in either direction, giving the user the option of the easiest way to walk in or out, without having to jump over it. Some consumers say the latch to open and close the gate gets stuck, which complicates going into and out of the gate when carrying heavy items, or even a small child. Others say the gate can rip out of the wall when pushed by a strong force if the mount is drilled into drywall rather than a wall stud. With a honeycomb-like pattern allowing adults to peek through the gate and provide supervision, it blends in with any style of the household while ensuring that parents can rest easy that children or pets are staying exactly where they should be. It keeps my precious little son safe from the stairs and I can open it with one hand while holding him, which is all I was looking for. Got two gates for top and bottom of stairs. We needed a cheap gates for the top and bottom of our basement stairs. Husband easily installed top, but will have to retro fit the bottom gate because our banister and baseboards are custom. But after installing the base one, we didn't trust it for the top of the stairs. I planned on installing one at the base of stairs and one at the top. I provides the security to keep my kids safe, but also opens nicely to have the entire width of the stairs accessible. Installation tips: read the instructions well, measure several times before drilling; I made pencil marks and taped the brackets to the walls to make sure everything would line up when the gate was open and shut. This gate is perfect for the stairs. The gate is grea , swings open so you don't have to step over, just make sure you screw it into the studs of the wall and not the dry wall or it'll come out. We can't seem to get it to stay open (probably because it isn't right against the wall) but we put a little piece of velcro on the wall and on the gate- it stays open now. Mounting to the wall was easy but opening and closing isn't the easiest. Now I've to step over it all the time because it's soo difficult to open, and is attached to the wall so can't be removed easily. it releases from the opposite wall and then can be swung open. the gate is great , swings open so you don't have to step over, just make sure you screw it into the studs of the wall and not the dry wall or it'll come out. I'd a hard time telling how it should go on the wall. It only opens in one direction, so, if on a staircase, it wouldn't allow the gate to open if installed properly (swinging inward, away from stairs). It's very light, it'll only open one way, if you lift it up too high to unlaced it it may come off the wall, it doesn't slide very easy which would probably be good for? All in all save your money and go for one that costs a little more but will actually open and close on the hinge. I like this one because we were able to mount it into the wall. This gate is fabulous and the price is perfect. For the price you pay this's an ok purchase. Flimsy, but for the price, it's fairly sturdy. Reasonable for the price it's a little hard to use but I don't think my daughter would ever be able to get it open. The gate is a little rickety, but otherwise does the trick for a good price!. Yes it's cheap and price and cheaply made. This was an exceptional product for the price. It'll be perfect for keeping my little dog upstairs and my occasional visiting grandson it's perfect for what I need and for the price I really don't mind the latching mechanism it all it's fine. If this's a temporary gate, the price is right. Does the job keeping our 16 month old off the stairs, but the latch keeping it closed gets stuck sometimes, making it challenging to use it with one hand. Then swing the gate over and hold into position the latch hinges. It doesn't latch automatically, just swings closed. It works great at keeping my dogs out of the kitchen. I'd no trouble working the latch on the gate, but I can see how it'd be beneficial to keep kids out. - It's a little wonky to get it latched. It fits well and is sturdy, but the latch is sometimes difficult to get to release in order to open it. The gate is a pain to latch and unlatch. ------------------------------------------------- The Bad: - It doesn't have velcro or latch to keep it in the "open" position when not in use. I agree with the..terrible latch system..so since our objective is to keep cat and dog out of bedrooms because the dog started pottying in them again. Can mount and swing either direction. When installing, check the mounting for the latch side, first. I never installed it into the wall. Not only did I save money, but installation was a breeze. Make sure you grab wood with those screws or use plastic wall anchors. A couple of other sites were asking 2 to 3 times the price WM sells them for. This was my first time using the WM site to store, probably wouldn't recommend if you need it in a hurry, otherwise save some serious money and do it! We baught two so I got a little over confidant installing the second one and ended up having to adjust it a little. It's hard to install, measurments are off, i'd to drill tons of holes in my wall to get it right, even then the latch doesnt want to unlock. Easy installation, well built and a positive latching mechanism. 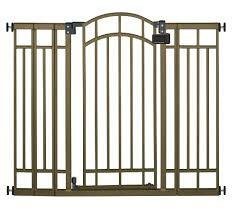 This gate is tough, easy to install, well designed, and easy to open and latch. Easy to install, easy to close and open even for my 6 year old. Can't beat the price and it's very easy to install. Easy to install and unlock and lock as long as everything line together. its safe, easy to use and install, and it's a great price. Easy enough to open and latch shut, yet child-proof to the average toddler. Pros: *affordable *does what it says it does *easy to close *durable *Lasts for years when installed properly Cons: *It's not as easy to open as it's to shut. The one in our living room doorway stays open very well and I don't have to take it off it's hinges each time I want the space open. You need 2 hands to open it and it was very hard to open. Dog was able to push it open while locked. Difficult to open and close. The gate only opens in one direction. This mainly happens when opening/closing the gate with one hand. 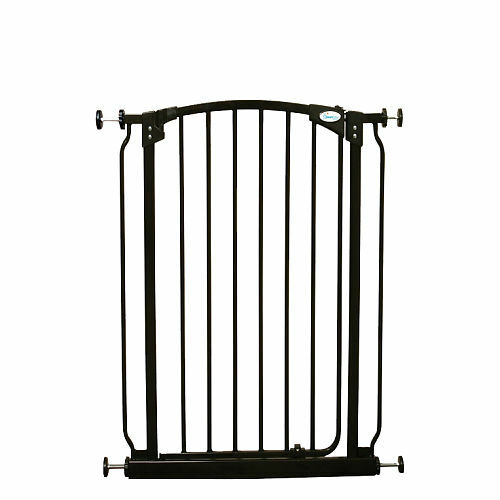 I bought this gate to keep my sister's intrusive dog out of my room when I still want to keep my door open. I now open and close the gate with one hand numerous times per day with absolutely no problem. Easy assembly,I love the way it opens and it keeps my children safe and secure in their room while I'm upstairs.